Glossier Body Hero - a little pop of coral. The latest launch from Glossier is an exciting one for me as I have become a bit of a connoisseur of late when it comes to body products. Body Hero is phase three of their launch as as brand (phase one was skincare and phase two, makeup), which comprises of two products, the Body Hero Daily Oil Wash and Body Hero Daily Perfecting Cream. The Body Hero Daily Oil Wash is totally gorgeous, it is a light, silky oil that emulsifies with water and turns into a light milky froth which cleanses the body without stripping it. 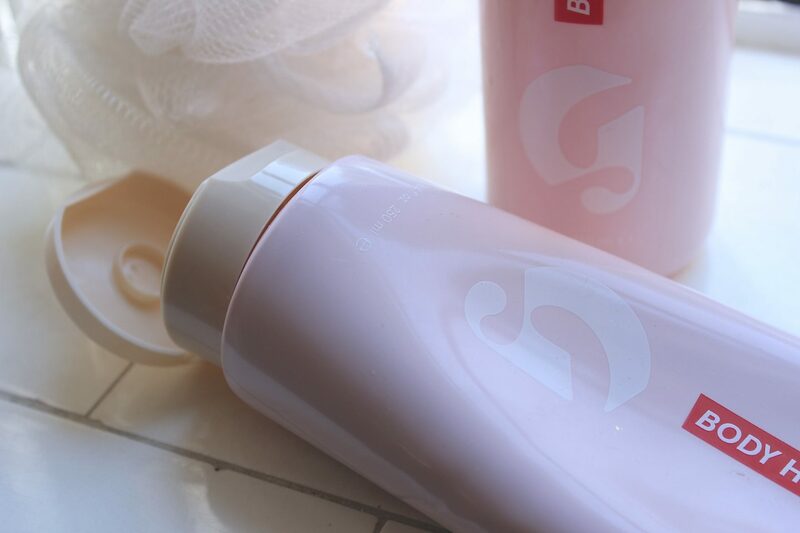 Glossier explain that there “is a seven-oil blend that attracts grim and sweat like a magnet, lifting it from your skin” and once mixed with water, the froth that appears washes it all away. Sounds amazing right? And it really is, this makes your shower feel very luxurious and the oil does a great job at hydrating the skin whilst cleansing. It is also the best for shaving your legs too as it gives the razor that bit of ‘slip’. If you have tried the L’Occitane Almond Shower Oil, then its along the same lines, but this oil feels much lighter and of course has a different scent. Both Glossier Body Hero products have an orange blossom neroli blend that is has a delicate floral aroma that reminds me of sunny, carefree vacations! It’s partner in crime is the Body Hero Daily Perfecting Cream, a body butter type cream that is thick in consistency, yet still manages to absorb quickly, allowing you to apply and get dressed in a flash if you so wish. Personally, I apply straight after the shower (every day, without fail! ), and I love using matching creams to shower products, as it makes the scent linger for longer. The Daily Perfecting Cream does an amazing job of moisturizing the skin, even on those notoriously tough areas such as the knees and elbows, and I love that it sinks right in so there is no sticky residue. It also has tiny light-reflecting particles that gives the skin a pretty sheen, making this the perfect choice when you have your limbs on show! This is a great launch from Glossier, and I look forward to how they add to the line, I would love to see a body scrub and maybe a range of scents as I love to change it up a bit when it comes to body products. 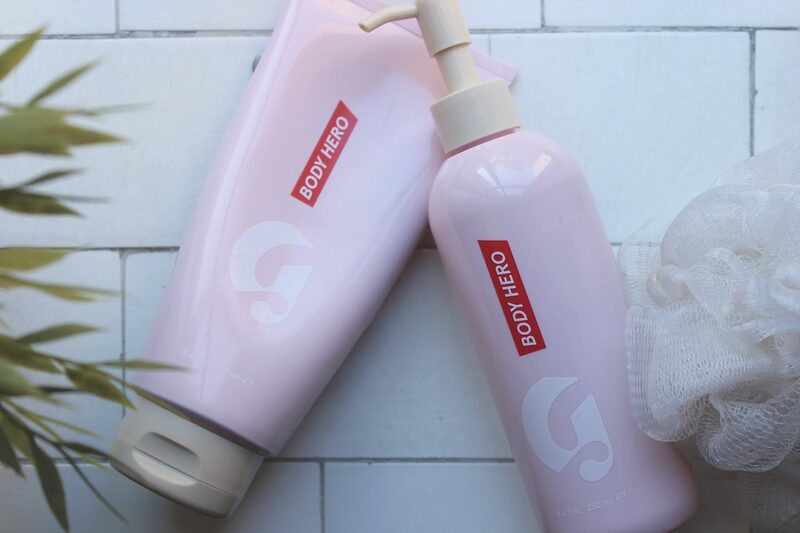 Both Body Hero products are available from the Glossier website (there is a $5 discount when you buy both), and exciting news is that as from Mon 9th Oct, they will be shipping to the UK! If you would like 10% off your first order, click here!